KendallTM CurityAmorphous Hydrogel Wound Dressing is a clear and viscous gel that promotes a moist wound healing environment and allows wound visualization. And since it is a gel it conforms to the wound. 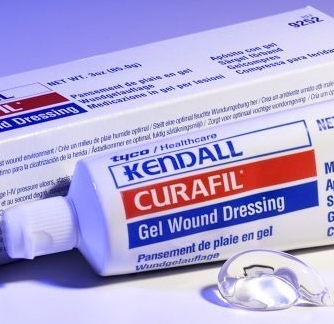 Curafil Gel can be applied directly to the wound bed. It can also be applied on a sterile dressing or a Q-TipTM style swab.